Originality and creativity are important words when it comes to creating and sharing content on social media. Why is it, then, that so many companies continually share lifeless content? If you’re one of these brands, then it’s time to make a change. What does your content-creation process look like? For some, the process involves sitting in front of a computer screen, fingers on the keyboard, waiting for inspiration for an article that will be published later that day. Others take a more meticulous approach and spend time brainstorming and creating content calendars weeks or months in advance. 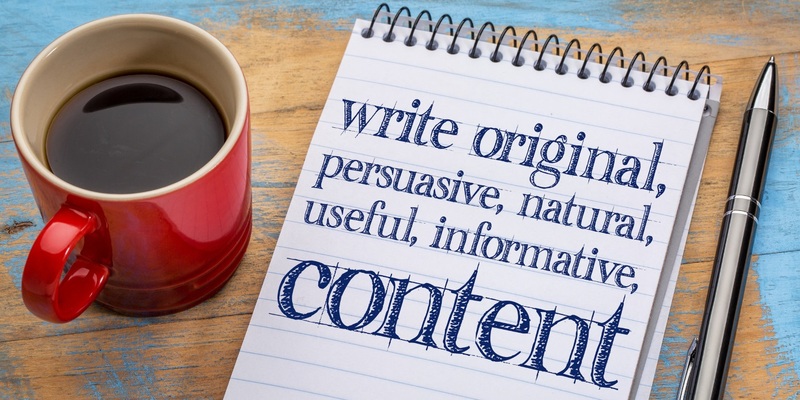 Some content writers are spontaneous, while others are very disciplined. Unfortunately, most brands have content writers and social media marketers who also happen to be unoriginal. The content they create and share may technically be original in the sense that the exact combination of words and sentences can’t be found elsewhere, but it tends to be regurgitated from other sources. The result is a social media presence that lacks creativity and fails to engage the audience. If you’re honest with yourself, you’ll probably come to the realization that your content isn’t very original. Thankfully, this is an issue that can be solved by reassessing priorities and establishing some protocol for better ideation, planning and writing. The following tips should get you thinking about it in the right way. Anyone can write a list of the best restaurants in New York. Not everyone can write a firsthand account of different restaurants with ratings, menu suggestions and personal accolades. If you want to create content around a topic that’s already been heavily saturated, you need to do something unique and tell a story. Provide your personal input and give it an original flavor that doesn’t already exist. This article by entrepreneur Stacey Alcorn is a good example of a fairly saturated topic that has some originality, thanks to a personal lead-in from the writer. Instead of just writing an article on lessons learned from Richard Branson, the article looks at lessons she personally learned from Branson at a recent event. Do you see the difference in the approach? Words are powerful, but visuals are exponentially more engaging and memorable. If you want your content to stand a fighting chance of grabbing your audience’s attention in crowded news feeds, you have to go visual. Creating visual content gives you an opportunity to really stand out. Take a look at The Clunker Junker’s blog to see an example of this. Not only are their blog topics unique, but they’re also visually stimulating. This creates a one-two punch that directly increases the efficacy of the content. The problem many brands run into is that they take a closed approach to their social and content marketing. They view content creation as something that happens within a specific time slot—in other words, no attention is given to content outside of the allotted time. If you really want to create original content that thrives on social media and is excitedly consumed by your audience, you have to stop this mentality of only thinking about content at certain times. Instead, you need to continuously gather ideas around the clock. Whether you’re attending an art gala with your spouse on a Saturday night or you’re at home watching a movie with the kids on a Monday after work, your brain needs to be wired in a way that’s constantly looking for fresh content ideas. What sort of content are you creating? The nature of social media puts a lot of pressure on businesses to constantly create content. More, more, more is the mantra. News feeds are continuously being repopulated with brand-new posts, articles and videos, so it’s easy to feel like you’re falling behind if you aren’t sharing something with your audience at all hours of the day and night.